Its initial sweetness is, apparently, “of roasted and vinous notes with a subtle bitter aftertaste”. Strong fruitiness, often with “banana notes” standing out, is derived from Old Peculier’s fermentation process. Old Peculier is possibly one of the country’s most well-known and loved ales. This unique, beautiful brew is often imitated but never matched and is sold literally all over the world. With countless awards to its credit, it is something of which every Briton can be very proud and is the epitome of the greatest of British brewing tradition. In the early years of the modern brewing era, about two hundred years ago, many brewers produced a dark, strong ‘stock’ beer in the winter months, to provide a base amount of fermented beer to add to beers brewed in the rather more volatile months of the summer. Old Peculier probably owes its origins to this. The name pays tribute to the unique ecclesiastical status of Masham as a ‘Court of the Peculier’ and is also reference to the strong characteristic of the beer! For many years it was affectionately referred to as Yorkshire’s ‘Lunatic’s Broth’. Old Peculier is a beautiful, yet very simple beer, brewed using a very generous blend of finest pale, crystal and roasted barley with two bitter hops combined with the majestic and noble ‘Fuggle’ hop to produce a beer of awesome full-bodied flavour with subtle cherry and rich fruit overtones. It tastes superb when accompanied by rich stews, strong cheeses and sweet puddings. So what could possibly go wrong? Have I lost my sense of British beers, let find out. Ok, that’s a familiar and friendly aroma of malts and hop, it is very like tobacco leaf as an aroma. Pour is a lot darker than you’d expect, really dark burnt chestnut brown, and a lovely head. That musty english beer aroma full of itself. The taste is like a time-machine back to my youth. Lots of sweetness from the malt and caramel, and the twitch and tang from the hops. This is a beer for the ages. What can you say really about a beer that reminds you so much of home and long nights in pubs? Lots of malt, heaps of burnt caramel, lots of the juggles hop thing that is very specific, it really is a time machine beer. I might have been away from home a long time but this does have that unmistakable English beer aroma, Simmering hop but not grass it’s more straw perhaps. The Sweetness of the beer is lovely, that backbone is being enough to carry a really forward an bold palate set. It really is a strong, full action, all on, quintessential English beer. I loved it 600 odd beers ago, I still love it now. You could be cruel and nasty about British beer styles all you like except that this, and others, is really how it is, and sometimes it’s really just a bit good. The pdubyah-o-meter rates this as 10 of its things from the thing. I loved it. really loved it. I loved the memories that he aroma and the taste delivered, I loved the sweetness and the lovely bitterness that was layered over that backbone. I just loved it. Am I enjoying it? It is a beer you should try to give you an in to he British beer culture that you may or may not get, trust me a few hours in the local with this and you’ll be an expert. Would I have another? I would love to have local that served this. Would I share with a friend on a porch and set the world to rights? You’ll hate it but this is really what English beer is corner-stoned on, this sets the bar and mark and you may hate it but this is a marker for beer. Music for this, ‘ The Clash ‘ and ‘ London Calling ‘ on the Spotify, seemed appropriate. The Clash were an English punk rock band that formed in 1976 as part of the original wave of British punk. The best wave, the real wave. 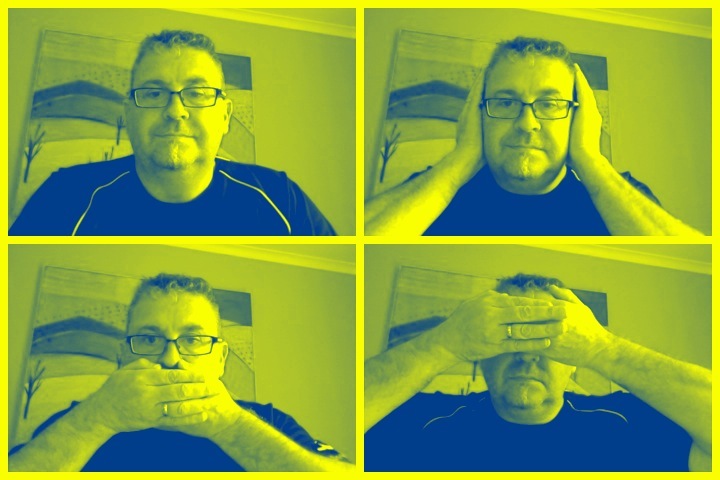 Gt your ears around London Calling …. Old Ale is a simple enough style to figure out. At least, once you understand that there are three or four beer styles called Old Ale. The first is the best known – the strong dark Old Peculier style. The second type of Old Ale is a blended dark ale. At least one of the beers comprising the blend will be aged for a couple of years in wood casks. The third version of Old Ale is a form of mild – a low-gravity dark ale. Another version of Old Ale is closely related to the first. For me, these are robustly malty beers, akin to a top-fermented version of a doppelbock. 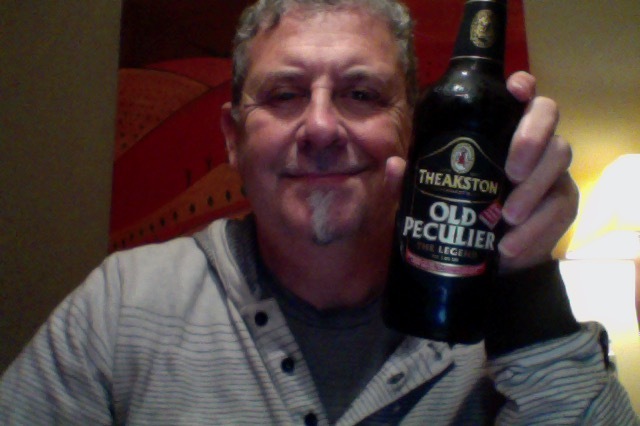 This entry was posted on July 16, 2015 by Philip Walter in Beer, Beer of England, Beer Review, Craft Beer, Critic, Justsaying, Old Ale, Theakston and tagged Alcohol by volume, english beer, Old peculiar, Pale Ale, The Clash, Theakston, Theakston Old Peculier.